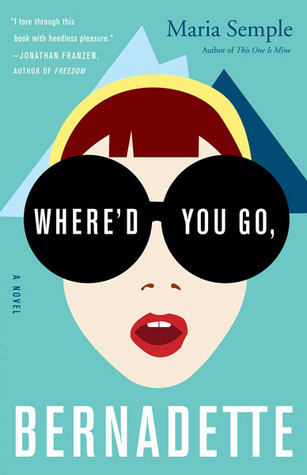 Quick Takeaway: Where’d You Go, Bernadette by Maria Semple is a fun, quick-paced domestic mystery. When 15-year-old Bee’s mother Bernadette Fox goes missing, Bee makes it her mission to uncover information about her mother’s mysterious past in order to try to find her. Who Should Read This? Anyone looking for an entertaining read about a flawed mother who deeply loves her daughter. Anyone who adores quirky characters. Review: This is such a fun book. I loved the quirky characters and the incredibly interesting scenarios that unfold. Bernadette is a flawed, but vastly interesting character who tries to be a good wife and mother, but she frequently fails because of her own mental state and her propensity to be a bit selfish. Bee, her daughter, is highly gifted for her age, and she has a very close relationship with her mother. Her quest to find her mother once Bernadette goes missing is really incredible. There were a few things that didn’t seem quite believable. For instance, while it is understandable that Bee is mature for her age because she is so gifted, some of the revelations she has and things she says still feel they don’t naturally come from someone with so little life experience. Also, some of the ways that Bee uncovers information about her mother seem just a little too convenient. I could see this bothering some people, but it didn’t really bother me because I was just enjoying the book so much that I was willing to overlook those things. Still, if you don’t allowing a bit of suspension of disbelief, you might not find this as enjoyable as I did. Final Thoughts: This book is just so fun. It’s a quick read, and I think you should give it a try if you want to be entertained by a fun mix of quirky characters and interesting plots.